← CAN MY PRAYER CHANGE THE COURSE OF THE WORLD? OBSERVATION: What do I do when my hope has vanished? I think all of us have experienced this feeling at some time in our life. We may have just faced a string of misfortunes, or received some disappointing news. The little hope that we had seemed to escape like the air rushing out of a broken balloon. Deep inside we still believe, but our present situation has left us tired, discouraged, and ready to throw in the towel. We presently do not have any strength within ourselves to muster up the hope that was needed. Is there any hope? Ezekiel’s vision of dry bones spoke to the emotional, spiritual, and physical condition of Israel. They had been defeated, judged, taken captive, and any hope of a future seemed dismal at best. And in the natural, they were right. They had hit bottom. They were a valley of disconnected and non-functioning dry bones. When Ezekiel was asked – “Can these bones live?”, he responded – “Only You know, Almighty Lord”. And then something wonderful happened. Ezekiel was called to participate in the Almighty Lord’s work of restoration and healing. And, if we will hear the still small voice of the Spirit – so too are we! Many times we have to go through difficult times to realize and understand that our hope can only be found in the Lord. We cling to things, people, circumstances, and dreams, when we should be clinging to the Lord. God loves us enough to allow us to come to the end of ourselves, so that we can find our fullness and hope in Him. And how does He do this? He does this through the washing of regeneration and the renewal of the Holy Spirit – the prophetic word and the recreating work of the Spirit. And, we have a wonderful part to play in this process. 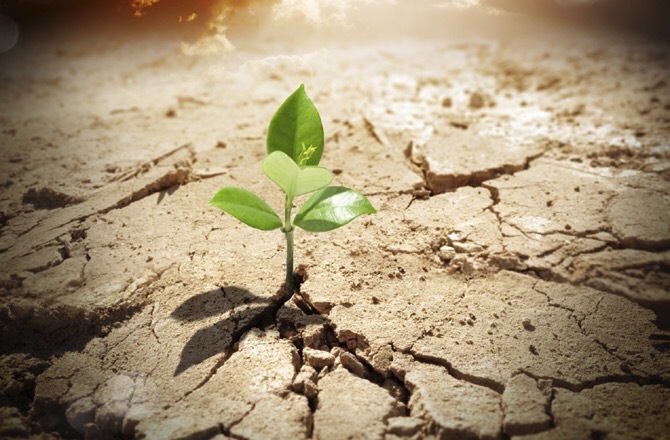 What is the part we are called to in reestablishing our hope? We are called to speak God’s prophetic Word over the dry bones of our life. This is what Paul calls us to in Philippians 4 when we are exhorted not to lose hope, and not to worry. What is the truth in our times when it seems all hope is gone? The comfort of the Spirit is ours! The Lord is always with us! We do not have to surrender to worry and anxiety! We can bring every need to the Lord in prayer! We can give thanks because He hears us! He will give us His Peace! He will renew our mind! He will restore our hope! He will direct our thoughts to His promises! The God of Peace will be with us! This is the prophetic Word! This is the living Word! This is the Word of the Lord that brings life to our dry bones. He alone is our Hope! He alone is our Peace! When we humble ourselves under His mighty Hand, when we prophesy to our dry bones, we begin to hear a rattling sound. It is the sound of restoration! It is the sound of hope! It is the restorative work of the Holy Spirit through God’s Word bringing love, joy, peace, and hope back into our lives. What we were not able to do, He is! Hope can continually be restored and renewed – if we are placing our hope in Christ alone! This entry was posted in Ezekiel, Uncategorized. Bookmark the permalink.